After we spent 2 weeks immersed in an oyster farm, we had to give you a recipe spotlighting osyters… Today, Ride the Flavour presents you an original way to cook oysters : as an entrée, there is no doubt that these oysters au gratin and their shallot sauce will delight you! 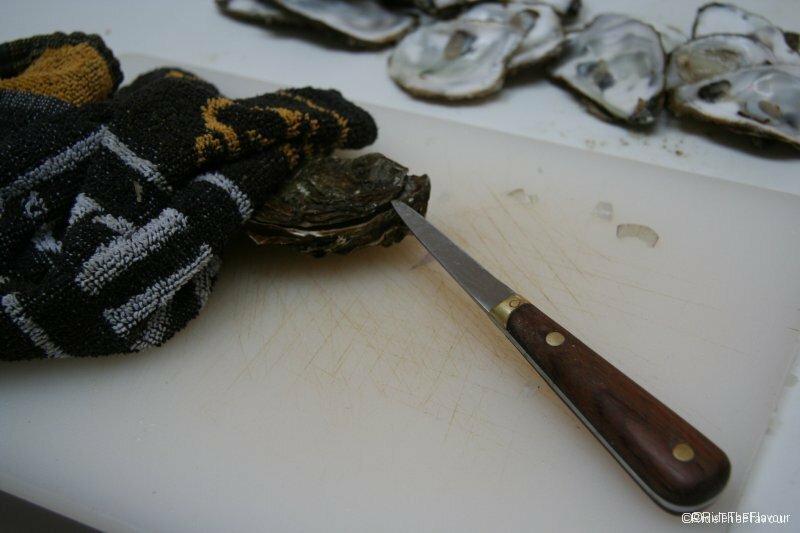 Special equipment: oyster knife, oven. 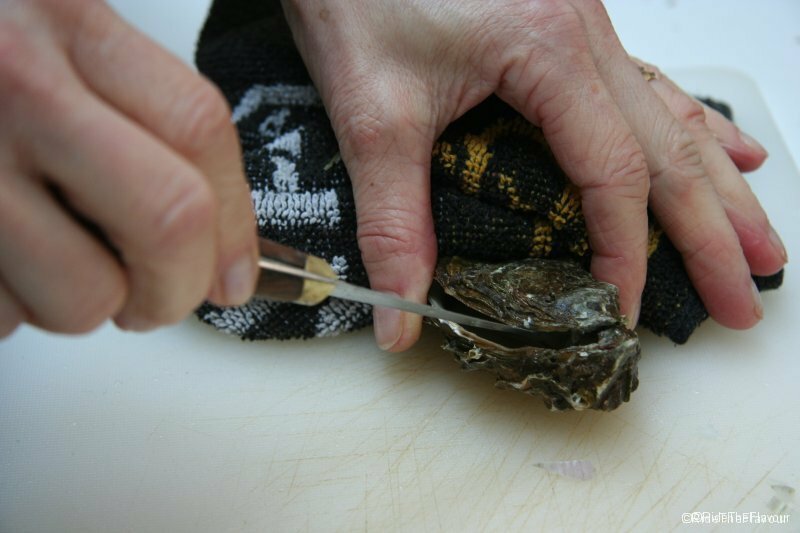 1) First, open your oysters. Be careful not to spill the inside water. Then, filter and keep this water in a bowl. 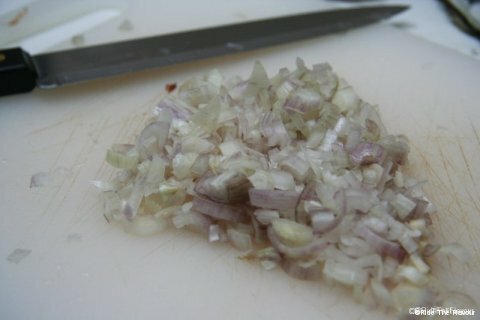 2) Peel and slice thinly the 3 shallots, then brown them with some butter in a pan during one minute. 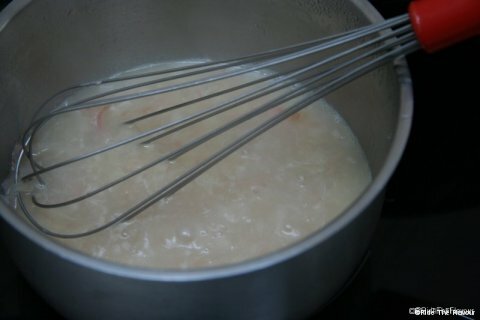 Add the white wine, the lemon juice and the oyster water (previously kept), and bring it to a rolling boil for 5 minutes. 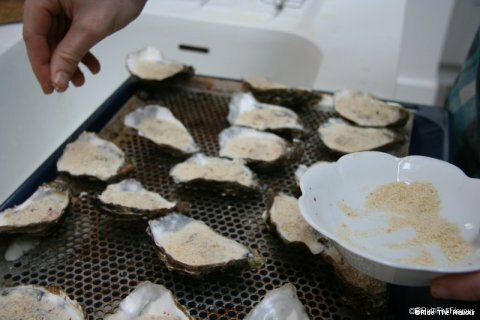 3) Carefully take the oysters out of their shell and keep them in a bowl. Clean the shells with tap-water and arrange them on a plate so that they are as horizontal as possible. 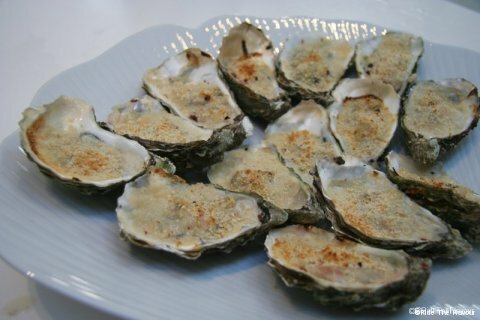 4) Quickly deep the oysters in the sauce. Then put them back in their shell. 5) Add the cream in the sauce, slightly salt and pepper. Whisk for 3 minutes over medium heat. Then, pour the sauce on the oysters. 6) Sprinkle the bead crumbs and the pink peppercorns (crushed), then put the oysters under the grill and leave them during 3/4 minutes. Your oysters au gratin are ready! And believe us, they are delicious. We are far from being crazy about oysters, but never before we have eaten so many oysters and with so much pleasure! The shallots and the pink peppercorns soften the salty flavour of the oysters, so that everyone can appreciate it!